Do you remember your first interaction with journalism? The first time you opened a print newspaper, watched a newscast, were impacted by news? For most people, this memory goes back to childhood – an indication that children are also part of the journalism audience, although the adults who produce it rarely take this into account. "Children and adolescents have contact with journalism like we do, we do not realize it," researcher Juliana Doretto, a specialist in media, journalism and childhood, told the Knight Center. "They also watch the news on television, listen to the news on the radio. Their consumption of the news is very much like ours, we just do not talk to them about it." In Brazil, children's supplements in large newspapers were kids’ gateways to print journalism and the main space for the development of journalism for children and teens in the country for a long time, according to Doretto. These supplements, however, are increasingly rare. This is both a symptom of the print crisis and the lack of importance given to children by professional journalism, according to the researcher, who is also a journalism professor at FIAM-FAAM university in São Paulo. Doretto, who worked at Folhinha, a children’s supplement at one of Brazil’s largest newspapers Folha de S. Paulo that was discontinued in print in 2016 after 52 years in circulation, said journalists often find journalism for children to be somewhat lesser. "Journalism for children follows the whole canon on which journalism is founded as we understand it today. There is scrutiny, journalistic techniques are followed, there is a method of investigation as in other spheres of journalism.” The difference is simply the target audience. “To speak to this readership you need to think about themes that make sense to them. In this way, we must address issues and problems in the daily lives of children and adolescents," the researcher emphasized. Folha explained to the Knight Center that its supplement Folhinha was discontinued "for cost containment and lack of advertisers" and maintained that it continues to publish "journalism aimed at children and adolescents – and their parents" on blogs about motherhoods, parent-child relationships, children's literature and in the health supplement. Yet, while major Brazilian newspapers closed their print supplements for this audience, a print newspaper dedicated exclusively to bringing news from Brazil and the world to children and adolescents has had that mission since 2011. The newspaper Joca reaches subscribers every 15 days and it publishes news articles daily on its website. The meeting between U.S. President Donald Trump and North Korean President Kim Jong-Un; the arrest of former Brazilian President Luiz Inácio Lula da Silva; and even the scandal of the use of Facebook user data by Cambridge Analytica in the last U.S. presidential election, were cover editions of Joca. "We read newspapers from around the world to bring knowledge from all over the world," entrepreneur Stéphanie Habrich told the Knight Center. She is the creator and director of Joca, whose newsroom is in São Paulo, where the staff of 15 people from the publishing house Magia de Ler works. "We bring a lot of things they [children and adolescents] like, but also news stories that they need to understand and which are of interest." She cites the cover story of the early June issue about a truck drivers strike that paralyzed Brazil for almost a week. "They wonder 'why did not my father go to work today? Why don’t I go to school? What's happening at the gas stations? ' And we bring it all into context." According to her, Joca's explanatory nature also attracts adults. "Adults like to read Joca because it brings context. Why did the strike start? Or why did the war in Syria begin? Who are the players, and why? When you read a newspaper for adults, it is hard to keep track if you do not read every day. You lose the thread." Habrich, of Franco-German background, arrived in Brazil at the age of eight and grew up reading newspapers for children from her home countries. Her passion for journalism and education and the memory of the role that these publications had in her formation led to the founding of two print magazines for children of different age groups in 2007. "I went bankrupt quickly," Habrich said, laughing. She said she bet on the European model, where parents subscribe to publications for children. This model did not correspond to the Brazilian socioeconomic reality, where there is less purchasing power and less of a habit for reading, in relation to France and Germany, for example. Joca was born with a different business model. Instead of seeking subscribers among parents, Habrich presented the paper to private schools for children of the elite class. Many of them included Joca in the list of obligatory learning materials, guaranteeing the subscriber base necessary for sustainability of the initiative, whose revenue comes entirely from subscriptions. Of the current circulation of 18,000 copies, 90 percent go to schools and 10 percent to families that subscribe to Joca, present in 23 of the 26 Brazilian states and in the Federal District. With each print edition of Joca, 70 multidisciplinary exercises that reference the content of the publication are available on the online platform. Tasks are used by teachers who work with the newspaper in the classroom. The print version also includes a booklet, produced in partnership with an English school, with some news items published in this language that are accompanied by comprehension exercises. 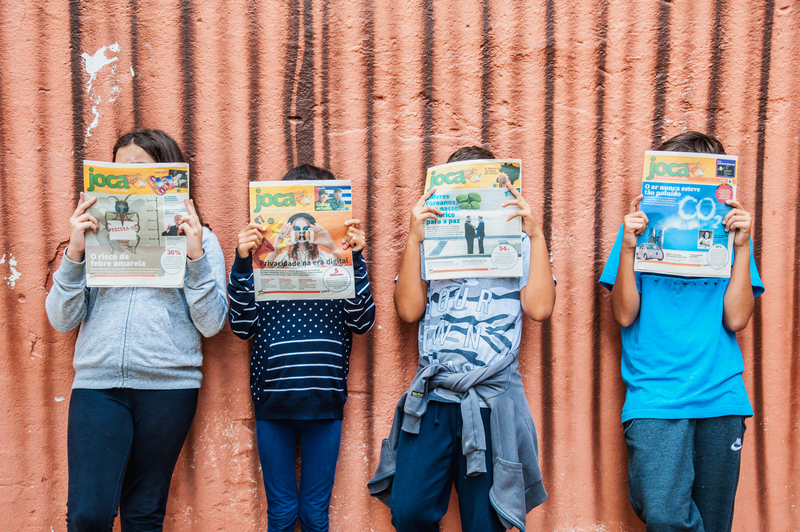 Joca is also entering a collaboration with newspaper Folha, which will publish links to content produced by the children's newspaper on its homepage. Although Joca has an educational role, Habrich rejects the adjective “didactic” to describe the newspaper. "I never wanted Joca to have the look of something from school. Everything like that is boring. I only went to a school because it was an easier way here in Brazil," she said. "I would say that Joca is much more a training tool than didactic material." This training is one of Joca's objectives. "They [the readers] are 10, 12-years-old, but very soon they will be leaders, the people responsible for Brazil. If we want a more just Brazil, we have to form them from now on," director of the newspaper said. The information fosters leadership and a sense of citizenship in the children, Habrich said. "We wrote about the refugee crisis in various editions of Joca. One day we received a letter from a school in Mogi das Cruzes [a municipality of São Paulo] saying that, on the initiative of the children, they set up thrift shop and the R $300 they raised were donated to Syrian refugees in São Paulo. Children knew that there was a country called Syria, that was at war, and that children of their age were suffering, and took action. That's why I speak of the leaders of the 21st century." Doretto, the researcher, stresses the importance of children's participation in the production of journalism aimed at them. "It sounds kind of bizarre, but sometimes journalism for children and teens is done without interviews with children. There is conversation with parents, with experts, but not with children, and this is because that’s how children are generally portrayed in journalism,” she observed. In addition to the importance of knowing about them and listening to their perspectives on topics covered in journalism, "children have an interest in listening to other children," Doretto said. The team that makes Joca integrates children in the production of the newspaper as child reporters and editors, readers of the publication who are invited or voluntarily send story ideas or even ready-made texts. Among these collaborations is an interview that four nine-year-old readers did with a Brazilian researcher on Antarctica and a report by a 13-year-old reader about the camp set up by supporters of former President Lula in front of police headquarters in Curitiba, Paraná State, where he is being held. Already in her second year as a Joca reader, eight-year-old Giulia Martins Rebelli has just finished her experience as a child editor. "Some people think that only adults can read newspapers, that the news is only for adults. It was a very good idea to make a newspaper for children, so we'll hear about the news," she told the Knight Center. "When I did not have Joca, I knew of almost nothing. I did not even know that there was North Korea, except there was South Korea. Now I know much more. " 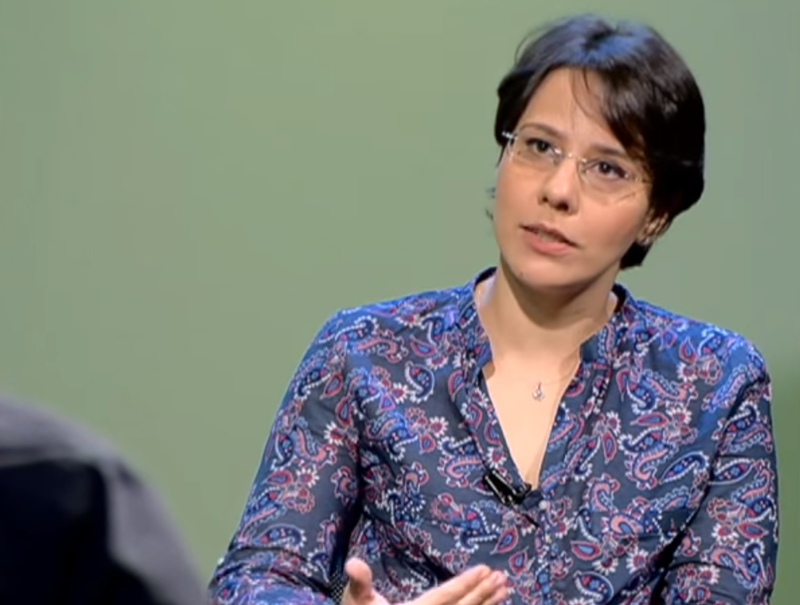 Giulia's mother, Fernanda Martins Rebelli, told the Knight Center that her daughter learned from Joca about the death of Stephen Hawking and proposed to her teacher to give a lecture on the British scientist. She also read about the 100th birthday of Nelson Mandela and was interested in learning more about the history of the South African leader..
"I think it's incredible how [Joca's approach] encourages children to be interested in diverse issues and generates an awareness in the child, such as the issue of fighting prejudice, for example. Giulia has this very clear in her head,” said Rebelli, who grew up reading Estadinho, a former supplement for children from the newspaper O Estado de S. Paulo that stopped circulating in print in 2013. "There are a lot of small people who think big, like me," said Giulia, wrinkling her nose at knowing that traditional Brazilian newspapers gave the diminutive ending "inho" to supplements for children – besides Estadinho, from Estado, and Folhinha, from Folha, there was Globinho, from O Globo, also discontinued in print in 2013. "They could make a newspaper for children, but cool news, interesting and not this little news. I want to learn, I do not want to be alone on my computer." According to researcher Juliana Doretto, children tend to be very impacted by news that concern other children, even if it is coverage produced for adults. "The child sees the newscast, does not understand what is happening and is afraid. For example, what is happening in the United States: she watches a newscast with her family and sees caged children. She feels pity, sadness, fear, and we do not talk about this news with children," the researcher said. In this sense, the journalism made for them can help them to understand these events and find their place in their world. "Journalism for children and teens would be a space to address this, regardless of whether or not this is important for her school education. It is important for her formation as a citizen, as a subject living in society. Journalism is there for that. We are partners of our audience in trying to understand the world, we are one of the channels that give the world a sense for our reader." The network Wadada - News for Kids seeks to be one of these channels for children from 20 countries, nine of them in Latin America. Created in 2004 by the Dutch media organization Free Press Unlimited, the network is based on the successful experience of a daily television news program for children on Dutch public TV that’s been on the air since the 1980s. Currently in the region, Wadada network programs are produced and broadcast on TV channels in Suriname, Peru, Nicaragua, Mexico, Ecuador, Colombia, Argentina, Bolivia and Brazil – the latter with the program Repórter Rá Teen Bum, broadcast on channel Rá Tim Bum and on Tv Cultura and available on YouTube. Chile is expected to join the group in September, Jan-Willem Bult, editor-in-chief of Wadada, told the Knight Center. Asked why they create journalism for children, Bult said that he often gets this question and that his answer is always the same: "Why not?" His argument is similar to that put forward by Doretto on the impact of journalistic coverage on children and the importance of presenting the news from a perspective more appropriate for children. The fight against fraudulent news, often called "fake news," is the theme of the moment in journalism made for adults. 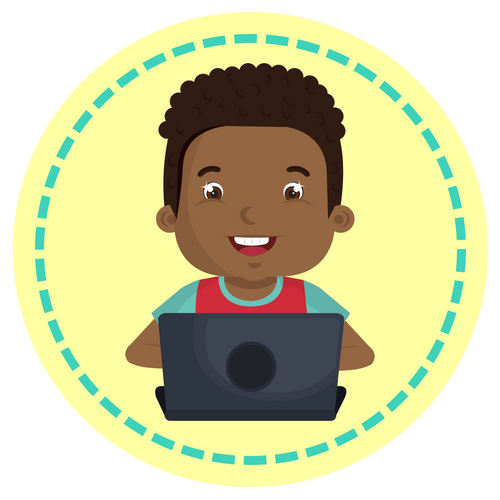 Considering that YouTube and social networks are becoming introduced earlier to children whose families have access to the internet, fostering media literacy among children and adolescents is crucial, and journalism for children and teens is a good place to learn. So thinks professor Doretto, who is developing a survey of kids in their early teens about what these young people understand as news. She says the teens’ ideas of what news content is are quite different from an adult journalist's understanding. For these young people, news is everything new and interesting: a friend's Twitter, a video on YouTube. Doretto points out the generational difference that marks perceptions about what journalism is among adults, adolescents and children. "Our generation and the previous ones grew up in a media environment in which news was a very well marked place. It was what was in a newspaper, a magazine, a newscast, a radio news program." Among the young people who are growing up with access to the internet and social networks and also among adults who use these media heavily, the sources of information are increasingly diffuse and diverse when compared with traditional journalism, the researcher said. 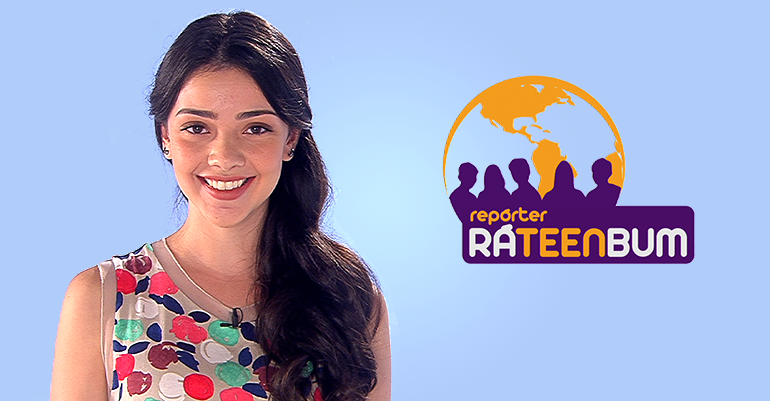 She believes that journalism for children and teens can help precisely by demonstrating what journalism really is – the methods, techniques, and processes of producing news and journalistic content. It is not enough, however, to say that only professional journalism has value, Doretto said. "We have to talk about the method and also about the interests of the companies, so that they [the children] understand what professional journalism is and that it follows certain techniques, but it has its interests. And they should do this with any source of information they see, even if it is not a traditional journalistic source. 'Who is this youtuber, what does he want, what is his idea, where does he come from?' This is media literacy," she explained. She recalled that, in the case of Brazil, children's right to information appropriate for their age group is provided for in the Child and Adolescent Statute. Therefore, the state can and should demand that TV and radio broadcasters, which are public concessions, produce quality informational content for children. "This is not a favor for the child, it is their right, which the state could regulate," she said. Doretto also pointed out that traditional journalism has its share of responsibility in the current environment of disinformation on social networks also due to its disregard of the child and adolescent public. The Knight Center contacted O Estado de S. Paulo and O Globo to ask about the closure of their children’s supplements and projects for young readers, but did not receive a response in time for the publication of this story.